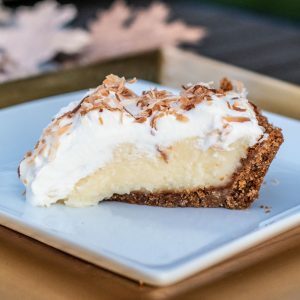 I am a sucker for a delicious coconut cream pie, but pre-made or store bought ones just don’t do it for me. Typically they are loaded with sugar and ARTIFICIAL coconut flavoring. I like my pie to taste like REAL coconut! Since I cook A LOT with coconut milk, I thought I would try experimenting with swapping milk for coconut milk, adding unsweetened coconut flakes and real coconut extract. Well, the results were INCREDIBLE! 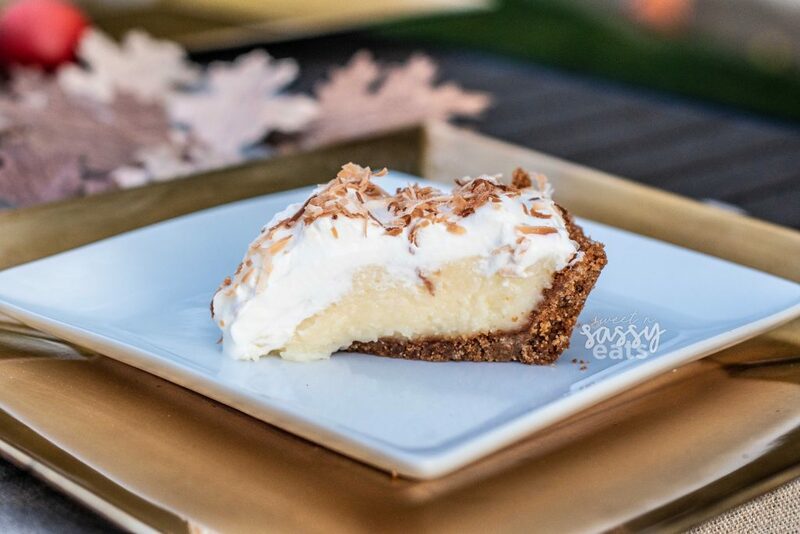 Never have I tasted a more delicious coconut cream pie and there is NO WAY I could ever eat a store bought or restaurant bought coconut cream pie again! 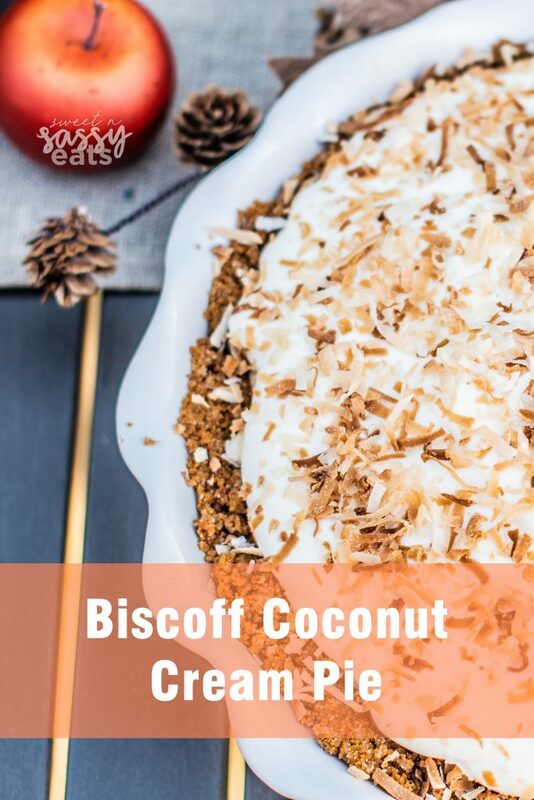 Using Biscoff cookies definitely elevated the whole pie as well… but if you don’t like those cookies, feel free to do your favorite pie crust! This pie is super simple to prep early as well, I typically make the crust and custard filling a few days before I need it. Then on the serving day, I whip my cream, toast my coconut and top my pie, then serve! I prefer unsweetened, finely ground coconut, but if all you have is sweetened flaked, cut the sugar to a 1/2 cup. I like to process the coconut in a food processor so that it’s fine instead of stringy. Make sure to follow all my tips and be PATIENT with the custard making, do not rush it and mix in the ingredients at the correct times! Mixing ingredients out of order is probably the biggest mistake people make in following recipes. Make sure to temper your eggs, meaning mix half the cream mixer with the eggs and then add that into the rest of the cream mixture and heat slowly, otherwise you’ll end up with scrambled eggs (yuck). Covering your custard before you store in the fridge keeps it from creating a film on top that is NOT tasty. Can be Dairy Free if you use ghee for the butter and if you make a coconut whipped cream instead of using heavy cream. This decadent Coconut Cream Pie tastes nothing like those overly sweet and artificial coconut tasting things you get at the supermarket. 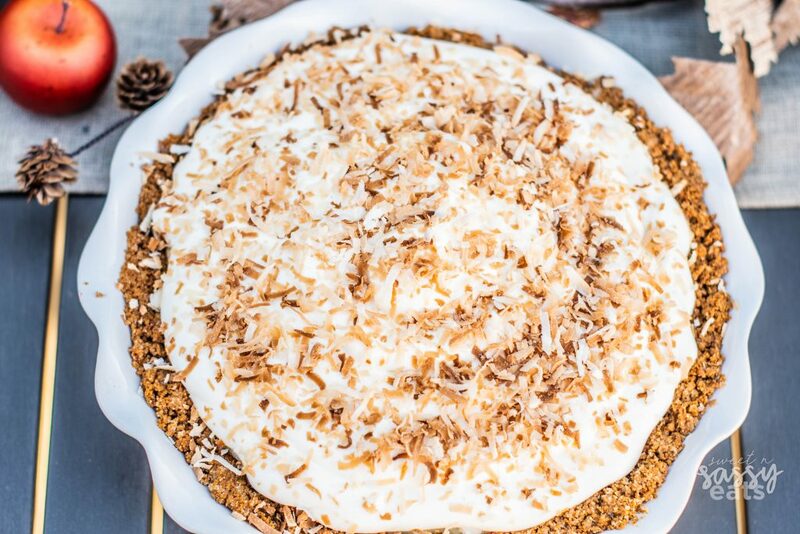 If you love the flavor of REAL coconut, then this will easily become your favorite pie ever! Preheat oven to 350 degrees Place the Biscoff cookies, sugar, and salt in a food processor. Pulse until the cookies are finely ground. Then add the melted butter and stir to combine. Pour the crust mixture into a pie pan. Press the crumbs with your hands over the bottom of the pan, and up the sides of the pan. Bake for 10 minutes. Whisk the yolks in a bowl, set aside. Stir cornstarch, sugar, salt together in a medium saucepan. Whisk in the milk carefully to avoid lumps. Cook, stirring constantly over medium heat. Let it boil one minute, then add half the filling into the yolks, whisking to temper the yolks. Add the mixture back into the pan and cook over heat, boiling for another minute. Remove from heat. Add coconut extract, butter, and coconut. Cool the filling slightly (about 30 minutes) and pour into a baked pie shell. Cover custard with plastic wrap and refrigerate for 2 hours until set. To toast coconut: spread sweetened, flaked coconut over a cookie sheet and put into a 400-degree oven. Stir occasionally and shake around until coconut is golden brown. Don’t walk away (I’ve burned many, many sheets of coconut walking away.) Cool before using as a topping. Make Whipped Cream: Pour Heavy Cream, coconut extract & powdered sugar in a bowl. Mix until you have stiff peaks. Place in a ziplock bag, snip the corner. 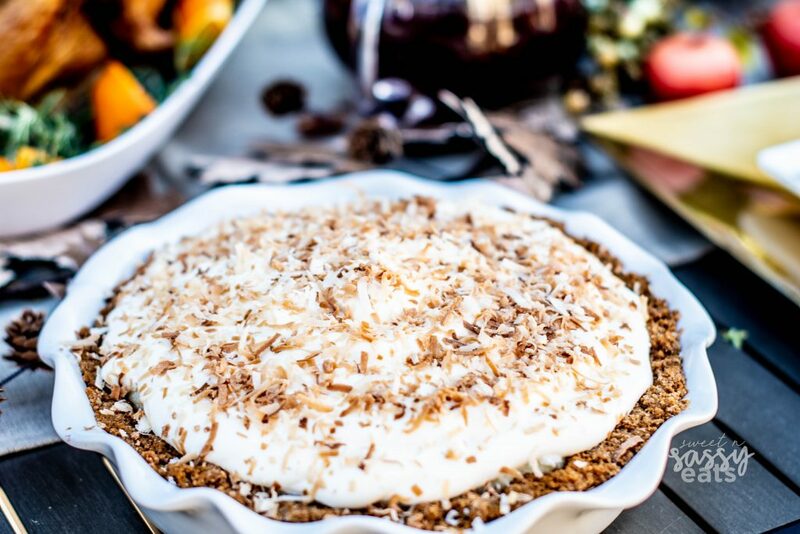 Top the cooled, set pie with whipped cream, then toasted coconut. Serve and enjoy. *I prefer unsweetened, finely ground coconut, but if all you have is sweetened flaked, cut the sugar to a 1/2 cup. I like to process the coconut in a food processor so that it’s fine instead of stringy. *Can be Dairy Free if you use ghee for the butter and if you make a coconut whipped cream instead of using heavy cream. Thank you, Danielle! Can’t wait for you to try it! Let me know how it turns out! looks yummy. I will have to give it a try! Thanks! Thank you Merry! Please let me know how it goes!